Pilot was named the top Airfreight Forwarder in the 2017 Quest for Quality awards from Logistics Management magazine. Among the five ratings criteria, Pilot also scored the highest in the customer service and on-time performance categories. This seal of approval comes from readers of the industry’s top trade publication for supply chain professionals. As the actual users of freight forwarding services, this audience understands and appreciates the value of service and performance. This recognition is widely regarded in the transportation industry as the most important measure of customer satisfaction and performance excellence. Readers also rated providers on value, IT and equipment and operations. 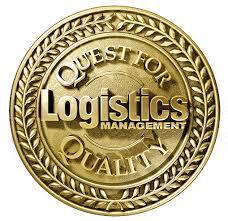 Pilot has earned more than 25 Quest for Quality awards in the past three decades. Congratulations to the entire Pilot team for continuing to demonstrate its long-standing commitment to our customers and the industry!